Few environmental factors are as reliable as the 24-hour day, and an evolutionary argument can be made for why the diurnal rhythms of the Earth’s rotation are so coupled with human metabolism. Our behavior, our physiology, and our biochemistry reflect the daily cycles of the planet, and people who fall out of sync with these cycles are more likely to suffer from diabetes, obesity, and heart disease. Gastrointestinal disorders, depression, and other ailments are also more common among people who don’t have normal sleep habits. 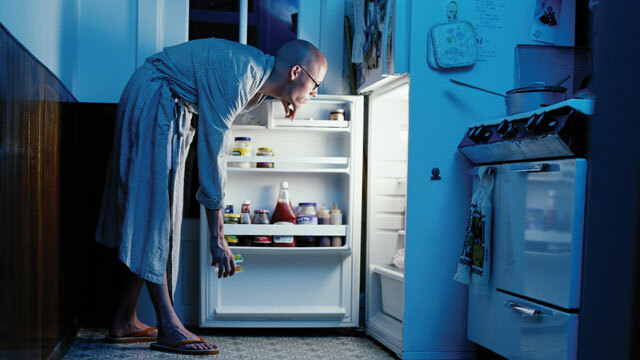 But according to new research, it’s not just disrupted sleep that can lead to these myriad physiological symptoms; it’s also the altered patterns of food consumption that go along with keeping such strange hours. The mechanisms for these associations have been less clear, but a wealth of animal studies and emerging research on humans implicate the timing of eating as an important factor in maintaining energy balance and good health. In rodents, “simply restricting feeding to incorrect times has adverse consequences,” says Joe Bass of Northwestern University. Mouse studies have shown that a high-fat diet, freely available around-the-clock, will make the animals obese and unhealthy. But if mice are fed only at night—when these nocturnal animals are normally active—the untoward metabolic effects are drastically reduced, despite consuming the same number of calories. Even less dramatic affronts to our normal circadian cycles may affect the way we process food. Earlier this year, Frank Scheer of Harvard Medical School and Marta Garaulet of Murcia University published the results from a study of 420 dieters in Spain. The participants had signed up for a weight-loss program, and the investigators tracked their eating habits. Half of the participants ate their main meal earlier in the day, before 3 p.m., while the other half ate later. Both groups followed a similar diet, exercised about the same amount, slept the same number of hours, and even produced similar levels of hunger-related hormones. Yet the early eaters lost weight faster and by the end of the study had shed a greater percentage of their body weight than the late eaters.2 “These data indicated that the timing of the main meal, which [for Spaniards] is lunch, predicted the success of weight loss,” says Scheer. MIND THE CLOCK: Until recently, our circadian rhythms were attributed entirely to the oscillations of activity in a group of about 20,000 neurons in the hypothalamus—a cluster known as the suprachiasmatic nucleus (SCN). The SCN was believed to be the master clock, entrained by the length of the day, that dictated the body’s 24-hour rhythms. Now scientists recognize that many of the body’s tissues can tell time and that these peripheral clocks can be influenced by other environmental cues, known as zeitgebers, such as the timing of food consumption. It’s still unclear how the SCN and these other body clocks interact. 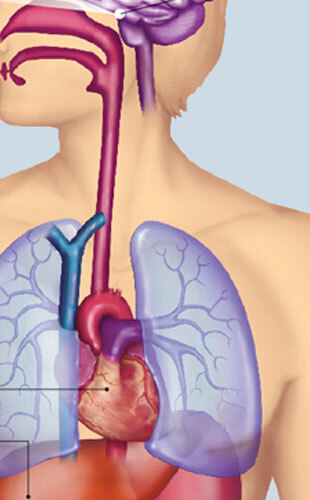 Below are several organs that maintain 24-hour cycles and some of their rhythmic physiological functions. 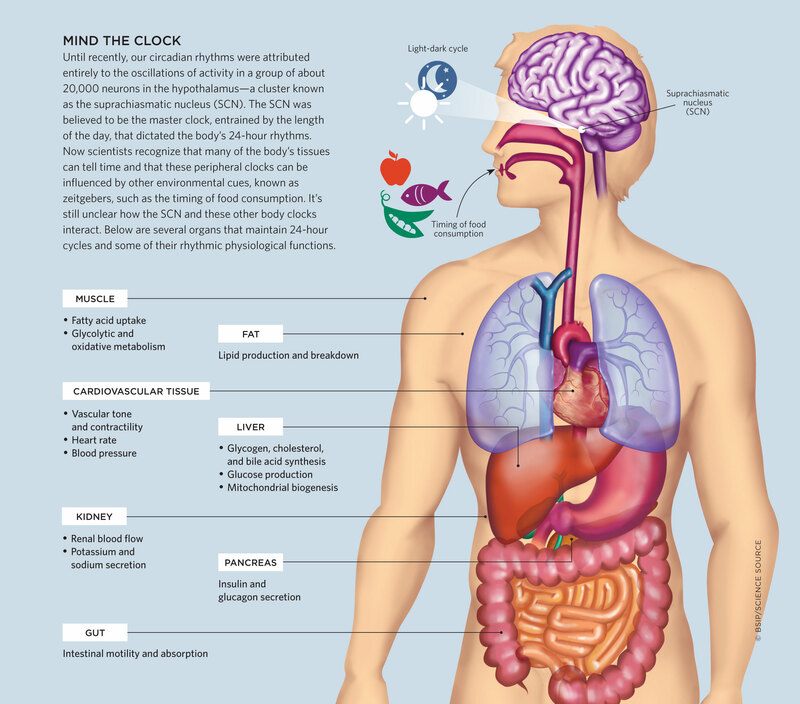 View full size JPG | PDF© BSIP/SCIENCE SOURCEA couple of decades ago, most circadian researchers would have described the circadian clock as a system regulated by the suprachiasmatic nucleus (SCN), a group of about 20,000 neurons in the hypothalamus that serves as the conductor of our body’s 24-hour rhythms. Lesions of the SCN abolish behavioral rhythms in animals. The rest of the body, it was thought, passively follows the SCN’s lead. Sure enough, researchers discovered that the SCN is not the body’s only timepiece. Additional oscillators in the peripheral tissues help adjust the daily rhythmic functions of organs. (See illustration here.) In the gut, for instance, intestinal motility and absorption differ depending on the time of day. Like all of the body’s clocks, these rhythms are guided by clock genes that operate in a transcriptional feedback loop. Transcription factors such as CLOCK and BMAL1 activate the expression of a large number of genes, including Period and Cryptochrome, whose proteins, in turn, inhibit CLOCK and BMAL1, causing daily oscillations in their expression. Circadian clocks in the periphery are guided by the SCN, and all of the clocks are vulnerable to the influence of zeitgebers (from the German for “time giver”), environmental stimuli that tell the body what time it is. The SCN’s primary zeitgeber is light. 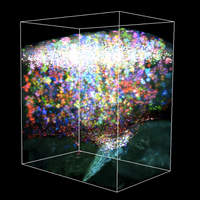 Clocks of peripheral tissues, on the other hand, can take their cues from other inputs, such as food consumption. In the mouse liver, for instance, about 300 different transcripts oscillate when mice are prohibited from eating. Give the animals access to food throughout the day and night, and the number of oscillating transcripts jumps to about 3,000. If you then consolidate the availability of food to 8 or 9 hours during the day—when mice should be sleeping—that number surges to 5,000.3 “This means that eating has a big effect,” says Panda. Similarly, Cassone has shown that some of the rhythmically expressed genes driving the circadian clock in the mammalian gastrointestinal tract are sensitive to the timing of eating. Clock proteins in the colon peak in abundance at dramatically different times during a 24-hour cycle, depending on whether the animals eat throughout the day or during a restricted time period.4 Furthermore, animals with a dysfunctional master clock—those with a lesioned SCN, for example—can use food consumption as a way to get back on schedule. “If we give animals a timed feeding, the gastrointestinal system learns the time of day,” Cassone says. Indeed, studies that directly disturb peripheral tissue clocks by ablating clockwork genes yield dramatic metabolic problems. Paschos has found that knocking out Bmal1 in the fat cells of mice, for instance, leads to obesity and changes in the concentration of circulating polyunsaturated fatty acids. Additionally, Bass found that mice whose pancreatic clocks are knocked out by a mutant Bmal1 or Clock specific to the pancreas can’t produce insulin properly and develop diabetes.6 The animals maintained normal feeding rhythms and body weight, but they ended up with impaired glucose tolerance and decreased insulin secretion. “The clock is a very dominant regulator of gene expression in the pancreas, and that has a very big effect on function,” Bass says. One striking example of metabolism’s marriage to the body’s clocks came to light about 25 years ago, when the University of Pennsylvania’s Mitch Lazar discovered Rev-erbα, a nuclear receptor that regulates gene expression through an epigenomic modulator, histone deacetylase 3 (HDAC3).7 In Lazar’s long quest to understand the role of Rev-erbα, he became fascinated by the remarkable circadian oscillation in its expression. In the case of the liver, “it’s almost like in a mouse every day the molecule gets knocked out by 5 a.m., and by 5 p.m. it’s one of the more highly expressed genes in the cell,” says Lazar. In 2011, Lazar’s team found that when they knocked out HDAC3 in the liver, they got “a really dramatic” result, Lazar says: the liver filled up with fat.8 The study provided a molecular explanation for what had been known for decades—that there is a circadian rhythm for lipid storage and synthesis. 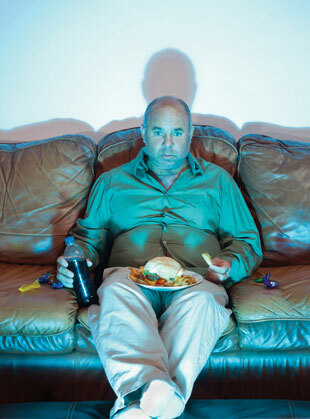 During sleeping periods, the body burns lipids, and during waking, the liver stores them up. HDAC3, which is highly expressed during the day when the rodents are sleeping, apparently helps mediate the use of lipids while the animals fast. When Rev-erbα and HDAC3 are shut down at night, when the animals are awake and presumably eating, glucose precursors are shunted towards lipid synthesis and storage. Later, when the animals are sleeping, they can reverse the process so that their livers make glucose for use by the rest of the body, Lazar says. 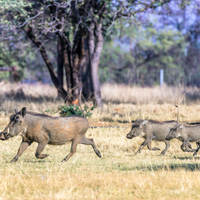 He and his colleagues suspect that the circadian cycling of Rev-erbα and HDAC3 “is one of these protective mechanisms for allowing the liver to produce glucose at times when the mammal is not eating,” says Lazar. A METABOLIC CLOCK: Circadian function is married to metabolism through a variety of pathways, most notably by its relationship to the histone deacetylase SIRT1 and the metabolite it depends upon, NAD+. The well-known clock components CLOCK and BMAL1 initiate the expression of NAMPT (1), a key enzyme in the production of NAD+ (2). This contributes to the circadian-dependent availability of NAD+, and, in turn, the daily rhythm in activity of SIRT1 (3). SIRT1 is not only involved in myriad cellular processes, including insulin secretion, gluconeogenesis, decreased adipogenesis, and mitochondrial biogenesis, but it can inhibit the activity of CLOCK as well (4).THE SCIENTIST STAFFTaken together, Panda’s and Lazar’s experiments show how the clock can influence metabolism and how eating can influence the clock. “It’s like a thermostat, almost, in that it’s maintaining timing, but it can be adjusted according to the energy environment,” says Bass. Now, the question is: What’s mediating that feedback? Research by Paolo Sassone-Corsi of the University of California, Irvine, and others has exposed the intimate links between energy metabolites and circadian clock function, which could explain how food signals are translated into time. In 2006, Sassone-Corsi’s group discovered that CLOCK itself is a histone acetyltransferase, which adds acetyl groups to histones. The corresponding deacetylase, SIRT1, can remove acetyl groups from histones and other proteins, including BMAL1. As part of these discoveries, Sassone-Corsi found that SIRT1’s function requires NAD+ (nicotinamide adenine dinucleotide), an energy metabolite. (See illustration here.) “That was the moment where I realized it’s a molecular link between the clock system and epigenetics and metabolism,” he says. NAD+ itself cycles in a circadian rhythm. Sassone-Corsi’s group, concurrently with Takahashi, Bass, and their colleagues, showed in a pair of 2009 papers that the clock system controls an enzyme, NAMPT, which is a rate-limiting step in the production of NAD+.9,10 “It’s a perfect example” of how inseparably metabolism and the clock function, says Sassone-Corsi. Humans, particularly those in developed countries with abundant artificial light, late-night TV, and 24-hour diners, have been putting themselves through an inadvertent experiment over the last few decades. Acetyl-CoA—an enzyme vital to the energy balance within cells—is another metabolite that appears to be intimately intertwined with the circadian clock. Preliminary results from Sassone-Corsi’s lab suggests that acetyl-CoA synthase?1, the enzyme that regulates acetyl-CoA’s production, is itself activated by circadian acetylation. That’s because SIRT1 is the deacetylase of acetyl-CoA synthase?1. And SIRT1’s activity, again, is itself dependent upon a metabolite, NAD+. The intertwining of metabolites and circadian clockwork is likely extensive. Sassone-Corsi and his colleagues have since found that of about 600 metabolites in the liver, more than half oscillate in a clock-controlled manner. He and his colleagues have developed an online resource, called Circadiomics, to catalog metabolites that have a circadian rhythm in the liver, and they plan to expand their database to the muscle. His group is also now exposing animals to various diets to see how networks of cellular pathways affiliated with a particular metabolite are affected. 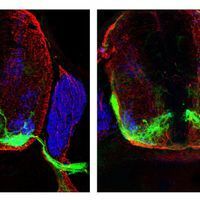 Overall, his research and others’ have revealed the ubiquitous and complex interplay of regulation and feedback between metabolism and the clock. “The clock controls metabolites, and then metabolites feed back on the clock system,” says Sassone-Corsi. How this interplay is affected by different diet regimes remains to be seen. © FERTNIG/ISTOCKPHOTO.COMTakahashi has shown that the targets of clockwork genes in the liver are broad and include components of myriad metabolic pathways. They are managed by the clock via chromatin regulation and the recruitment of RNA polymerase to activate transcription. “Because of the clock’s global regulation of transcription and chromatin state, you can imagine the genome is really in a different state at different times of the day,” Takahashi says. It’s possible, then, that presenting food at times when the genome is hunkered down for fasting and energy storage might lead to weight gain and metabolic disorders. Lazar says the experiment has yet to be done to connect the dots between inappropriate food timing, epigenetic activity dysregulated by the clock, and metabolic diseases. 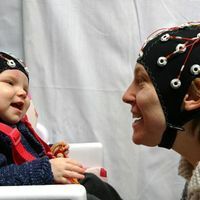 But humans, particularly those in developed countries with abundant artificial light, late-night TV, and 24-hour diners, have been putting themselves through an inadvertent experiment over the last few decades. No longer does daylight dictate the times when we eat. “That is the cycle that has gone wrong in the last 50 years,” says Panda. H. Bøggild, A. Knutsson, “Shift work, risk factors and cardiovascular disease,” Scand J Work Environ Health, 25:85-99, 1999. M. Garaulet et al., “Timing of food intake predicts weight loss effectiveness,” Int J Obes, 37:604-11, 2013. W.A. Hoogerwerf et al., “Clock gene expression in the murine gastrointestinal tract: endogenous rhythmicity and effects of a feeding regimen,” Gastroenterology, 133:1250-60, 2007. B. Marcheva et al., “Disruption of the clock components CLOCK and BMAL1 leads to hypoinsulinaemia and diabetes,” Nature, 466:627-31, 2010. M.A. Lazar et al., “A novel member of the thyroid/steroid hormone receptor family is encoded by the opposite strand of the rat c-erbA alpha transcriptional unit,” Mol Cell Biol, 9:1128-36, 1989. D. Feng et al., “A circadian rhythm orchestrated by histone deacetylase 3 controls hepatic lipid metabolism,” Science, 331:1315-19, 2011. 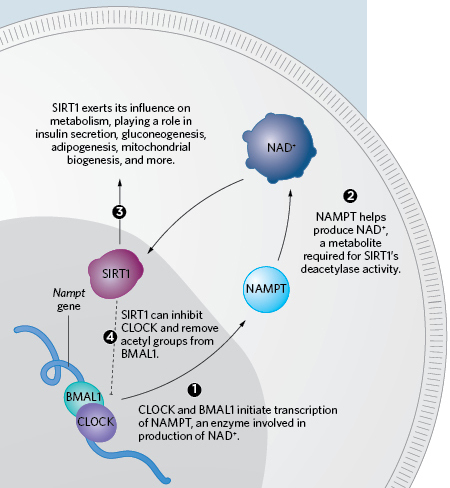 Y. Nakahata et al., “Circadian control of the NAD+ salvage pathway by CLOCK-SIRT1.” Science, 324:654-57, 2009. K.M. Ramsey et al., “Circadian clock feedback cycle through NAMPT-mediated NAD+ biosynthesis,” Science, 324:651-54, 2009.